It’s Our Favorite Giving Tradition! Help us make wonderful memories for Cobb County families. There’s no place like home for the holidays. At Traton Homes, that means Cobb County, our home base and the place where we launched our locally owned homebuilding company nearly 50 years ago. Again this year, we’re sharing the joy of the season with deserving families right here at home by collecting new unwrapped toys for Cobb Christmas. This volunteer-run nonprofit organization supports low-income families by providing gifts for children, as well as food for their families. Participating families receive a box of food, and three age-appropriate gifts for each child, from infants through age 15. From now through December 12, Traton Homes is collecting new, unwrapped toys for Cobb Christmas at our corporate office, located at 720 Kennesaw Avenue in Marietta. We’ll also be collecting at the North Square model home, 730 Canton Road, NE in Marietta; and at The Grove at Adams Pond model home, 2483 Davis Drive in Smyrna. Prefer to donate to the organization digitally? It’s easy at CobbChristmas.net. “During the holidays we want to help bring joy to families right here in our own backyard. We treasure this annual opportunity to make a difference in the lives of our neighbors, and we thank our employees, vendors and volunteers of Cobb Christmas for their generosity,” said Kimberly Garwood, marketing director for Traton Homes. 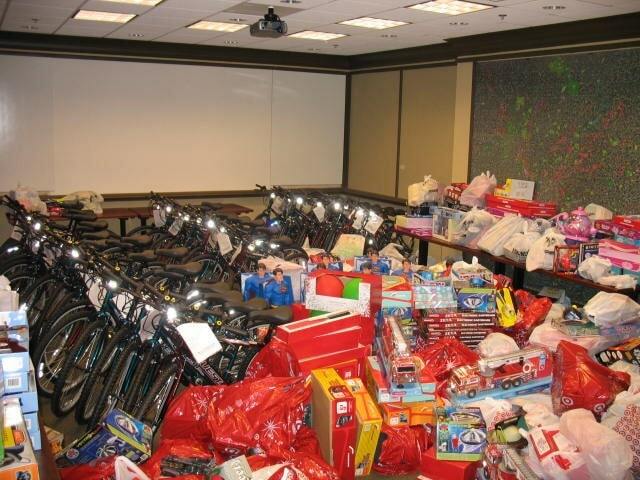 Since first joining hands with Cobb Christmas 15 years ago, Traton Homes has donated and collected thousands of toys. 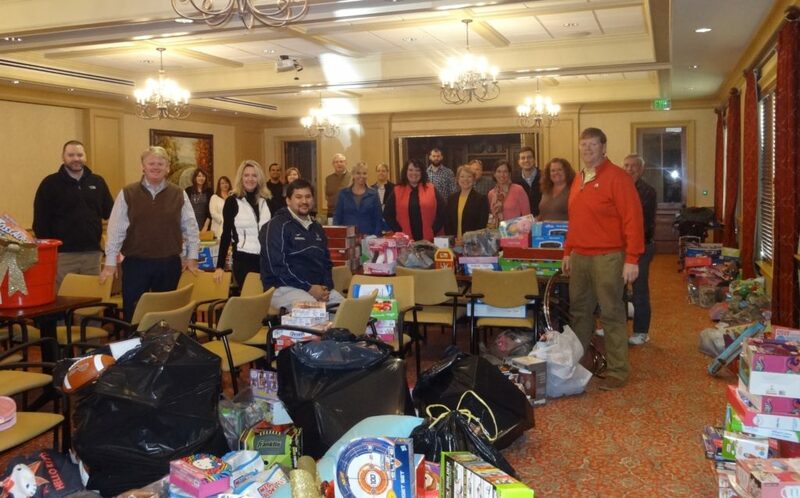 Donations come from the company, as well as from our generous employees, vendors and caring members of the community. 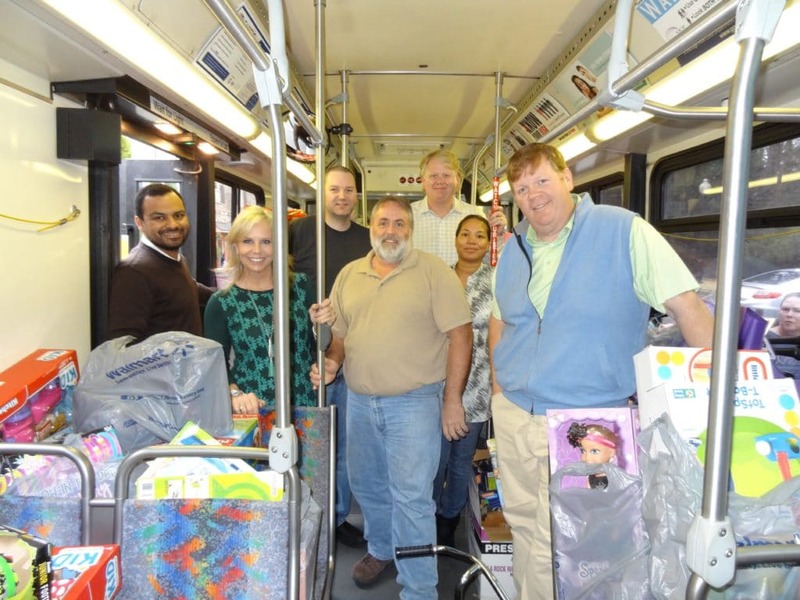 “When the collection drive is over, it’s incredibly gratifying to stuff a Cobb County Transit bus full of toys, knowing the contents will make the season brighter for deserving local families,” Kimberly adds. Traton Homes invites members of the community to join them in this wonderful holiday tradition. Just drop off a new unwrapped toy at our corporate office, or the model homes at North Square in Marietta and The Grove at Adam’s Pond in Smyrna. Or donate on line at CobbChristmas.net. Traton Homes wishes everyone an Altogether More holiday season filled with family, gratitude and the joy of giving.